More than 30 new jobs have been created at one of the West Midlands’ fastest growing automotive suppliers this month following the completion of its £10m paint plant. 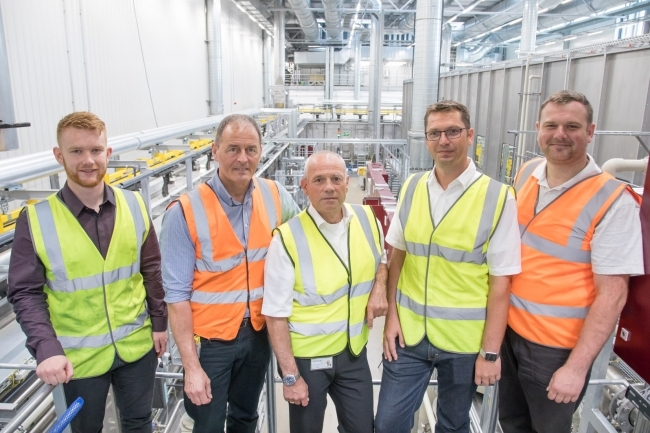 Brose UK, which employs nearly 1,000 people at its two factories in Coventry, has signed off the installation of its state-of-the-art e-coat line, giving it the capacity to paint more than 3.5 million seat structures every year for UK customers. In addition to providing greater control of production, the investment gives the firm a lean material flow and improved environmental performance. Steve Bartholomew, Technical Director at Brose UK, explained: “We have grown significantly over the last five years and have now reached a position where an in-house paint plant improves competitiveness. “The e-coat line is one of the most advanced in the automotive sector and will immediately improve scheduling of production and ensure all structures are finished to the highest quality standards accepted by all of the major car manufacturers in the world. 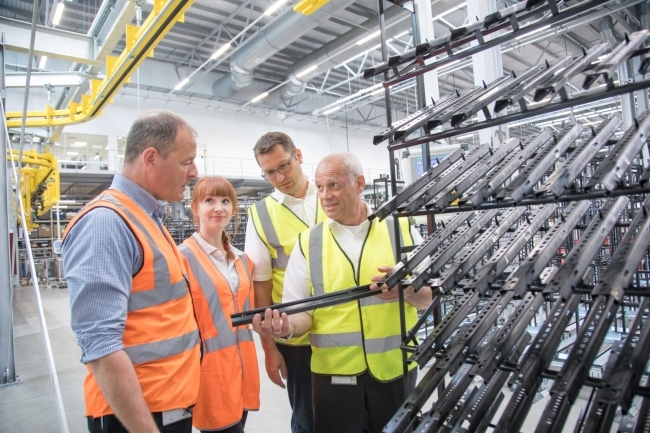 Structures for four different Jaguar Land Rover models are the first to go through Brose UK’s new paint plant and it is anticipated that more than 2 million seat structures will be coated within twelve months of operation. From loading to unloading, a rack of parts is painted in about two hours compared to 10-12 hours when sending to external painters. Each part rack goes through a cleaning and ready to paint process prior to being electrically charged…paint being positive, the part negative to evenly coat the surface. Virtually zero paint is lost in the process. “This is a massive show of faith and confirms the group’s intention of giving us the technology and capability we need to take on and successfully deliver higher volumes for our local customers,” said Juergen Zahl, Managing Director of Brose UK. Over the last 12 months, Brose UK sales have increased by 23% and this has included new contracts to supply seats and window regulators to customers such as Jaguar Land Rover, Nissan and Toyota. Brose is the world’s fifth-largest family-owned automotive supplier. The company develops and produces mechatronic systems for vehicle doors and seats as well as electric motors, drives and electronics, among others for steering, brakes, transmissions and engine cooling. More than 25,000 employees at 60 locations in 23 countries generate turnover of 6.1 billion euros. Every second new vehicle worldwide is equipped with at least one Brose product.